Romanian Meatballs, known as “Chiftele” are one of the most popular Romanian dishes. Learn to make the mother of all meatballs, nothing beats these meatballs. I’m so happy to share this recipe with you today because this literally is one of the most common made dishes by my mother as we were growing up, and still is in her household and mine. So needless to say, I learned to make these meatballs a very long time ago. We call these “Chiftele” which is the Romanian word for meatballs. Sometimes I feel like I don’t share enough Romanian dishes with you, and here I am to redeem myself. I still remember that every single time my mom would make these, besides the fact that I was always in the kitchen with her, being the sous chef of course, I was always in charge of rolling them. My mom actually preferred to make these more like patties, so we’d flatten them a bit, but now that I’m married to a Romanian, he prefers them round and small like his mom used to make them. I, personally, don’t care one way or the other. For me, the taste is more important. Forget all other meatball recipes, this recipe is to die for! We actually shred some potatoes and add it to the meat mixture. I’m not exactly sure why, but from what I heard from my mom is that back in the day, meat was more expensive, so to make more you’d use the potato. Now of course, I do it because I find that the potato makes the meatballs juicier and I just love the texture of it. The other ingredient that I think makes these meatballs stand out is simply the dill. I love dill, so I’ll put a lot in these meatballs, and you can actually taste the distinct flavor of the dill as you bite into the meatballs and it’s just yummy. You can use these meatballs for your spaghetti, with mashed potatoes, you can make a tomato sauce with them, or you can just plainly eat them by themselves with bread and mustard. You can fry these, or if you’re watching your weight, you can even bake them. I simply just love these. I chose to fry them this time, but many times I have baked them and they are just as wonderful. So here is my family’s recipe for delicious Romanian meatballs. I really hope you try them and enjoy them. If you do, I’d love to hear from you. Romanian Meatballs, known as "Chiftele" are one of the most popular Romanian dishes. Learn to make the mother of all meatballs, nothing beats these meatballs. Heat the tbsp of vegetable oil in a skillet over medium-high heat.Add the onions, garlic and saute until tender. Add the grated potato and cook for a few minutes until it becomes tender. Let this cool. 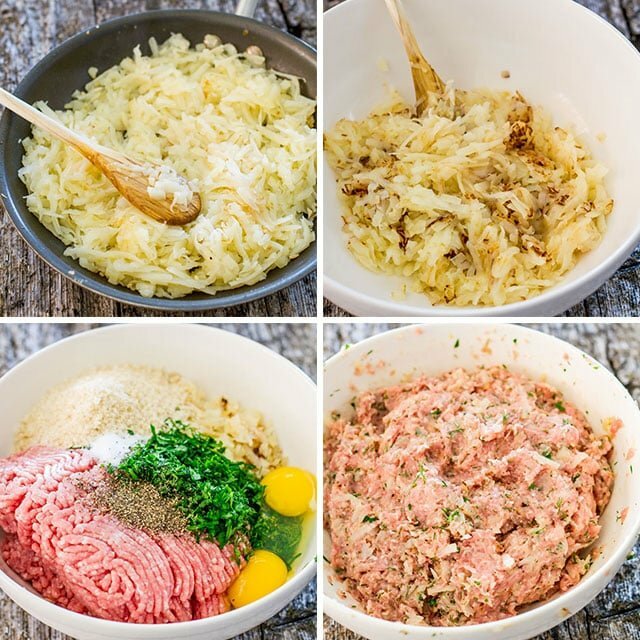 In a large bowl, add the onion/potato mixture, ground pork, eggs and breadcrumbs, salt and pepper, add the chopped parsley and chopped dill and mix well. You can form these into balls, or traditionally they are formed into small patties. 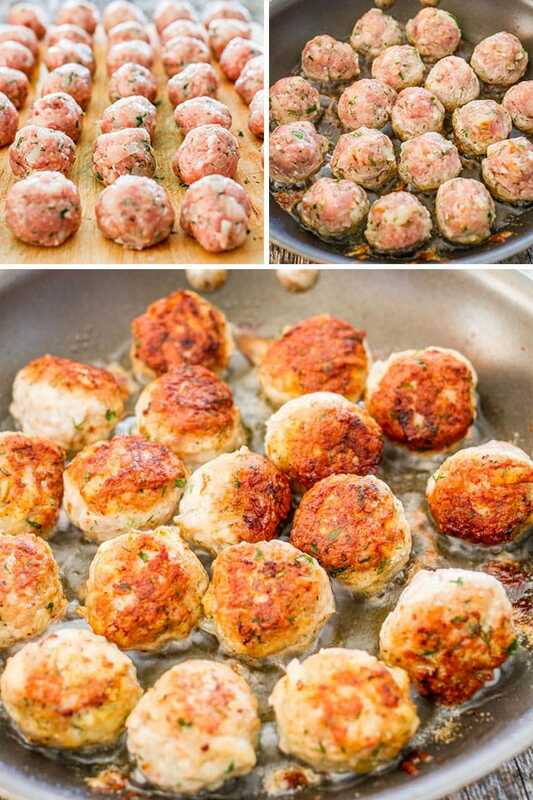 Add oil to a large skillet and fry the meatballs on all sides. Serve over spaghetti, or mashed potatoes. These meatballs can also be baked. Bake at 400 F degrees for about 30 to 45 minutes or until cooked through. What type of potato do you use and about what size? They look delicious and I am looking forward to trying these. Any potato would work. I usually use a Yukon gold, medium size. Oh I hope you like them!! Do let me know! Wonderful! I’m not sure why exactly since the ingredients themselves wouldn’t make you think these would be as good as they are, but the end result is fantastic. My new “go to” meatball recipe. So how do you eat these? Is there a Romanian sauce to put over them? 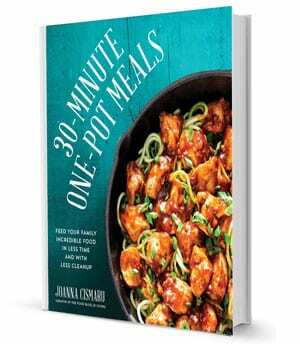 Then do you put the sauce and meatballs over mashed potatoes, rice, polenta, or what? You could make a tomato sauce for them, but we never usually do. The meatballs themselves are quite moist so we just eat them like that with a salad or mashed potatoes. These are absolutely delicious! Thank you for posting this. Many years ago, in my 20’s, I had a grandmother-in-law that made the most delicious melt in your mouth meatballs that she used in a soup but she also cooked them flat for on the plate. I had never seen her make them, she was born in Lithuania, I have no idea how they met but her first husband was from Romania, living in Lithuania they were married for many years before he passed away. Her oldest son by that marriage said that she had a secret ingredient that made her meatballs so delicious but she never shared it. I always have added onion to my meatballs, but I think now after reading your recipe that her secret ingredient had to be the potatoes! Ah! I love this recipe!! I’ve only had chiftele flattened like patties. I can’t wait to make this for my non-Romanian family. Thanks a million! I made these for my husband who is Romanian and baked them instead of frying. I also flattened the meatballs because according to my husband if they go in soup they are round and flat if you are eating from a plate with potato. We had them with potato salad and dill pickles which went very well. Next time I will season them more with salt and pepper because I wasn’t sure how much to add. Very nice texture and very moist – overall a success. Thanks for sharing these authentic Romanian recipes so I can make my husband very happy. Next I’m attempting the sarmale. Whenever making meatballs (although others are correct these are made as patties) take a small amount of the meat mixture and cook it. Let that be your guide to how much more salt and/or pepper to add. Do I bake the potatoes before I grate them into the meatball mixture, or, do I grate them in raw? Hi Franca! No you don’t have to, just grate them raw because you will saute the potato in the skillet for a few minutes which will be enough. So glad you’re giving this recipe a try! My husband recently found out that he has Romanian heritage, and it intrigued our daughter so much that she started investigating Romanian food. She begged me to make this recipe, and it has since become a staple in our meal rotation. I even added dill to my herb garden, just for this recipe alone! Not only is it tasty, but it fits into our low sodium diet. Thank you! Yes, dill is definitely underrated! So glad you guys liked they meatballs, they are my favorite! 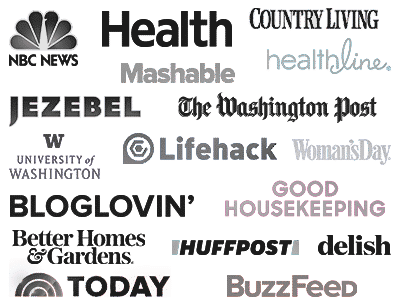 I’ve never stumbled on a cooking site that I use more than yours. You have so many amazing things and they’re easy to make as well. Bravo! Brilliant! Tried this today. I added paprika to the onions/potato mix but only used 500g of meat. Didn’t change anything else. It turned out pretty good, maybe a bit stronger on the flavour but my husband prefers it that way. 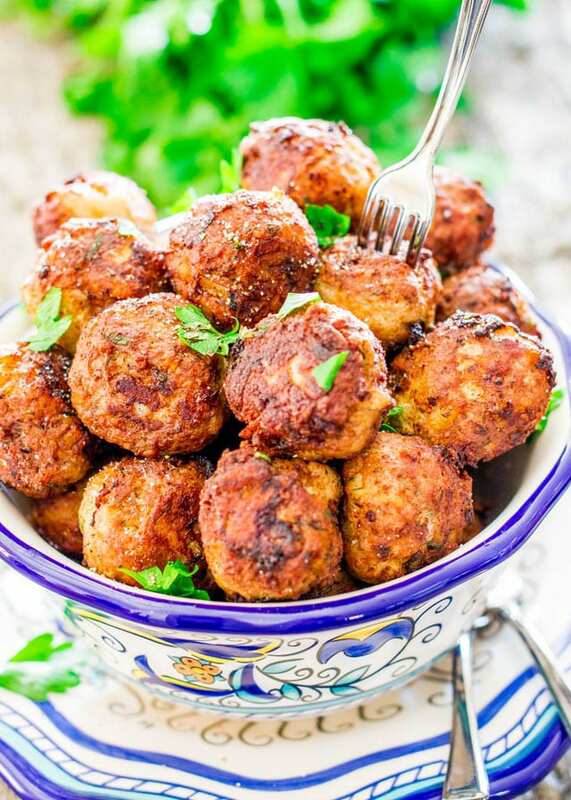 No need to, you could use a silpat or parchment paper under the meatballs to make cleanup easier. Omg! This is awesome, thanks as just looking for something different to make and I came across this dish! I am Romanian and it so hard to find Romanian dishes to make after my mother moved away and now that I’m married, I like to have my husband try Romanian foods! It’s awesome that your posting these recipes! Thank you, Rebecca, I have a lot more, hope you try them! Made these today and had it with polenta and mushrooms. Absolutely beautiful. My partner is Romanian that doesn’t cook Romanian food often, so I’m always looking great recipes. Love love love Romanian cuisine. Thank you for sharing. I pretty much make it the same except I add 2 eggs per pound and never thought to add sauteed potatoes and precook onions. I will try and just not add any oil to the mix. One recomendation I give my friends and family is to oil your hands prior to rolling them. It keeps your hand clean of the sticky meat and the balls are shinny and round. And for those that have a hard time making them the same size I suggest a tablespoon to dig out the meat. 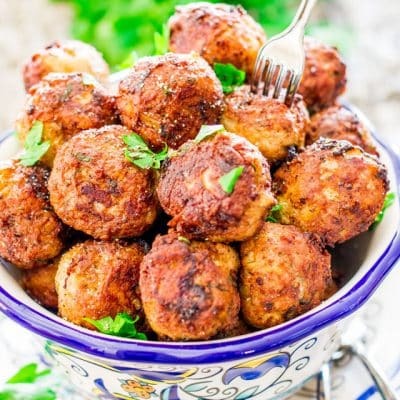 And finally, these can also be baked verses fried and can be made with any ground meat or mixture of ground meat; but keep in mind the leaner the meat the less juicy and plump the result will be. My favorite is actually chicken.